Try after try after try (say, 5 times? 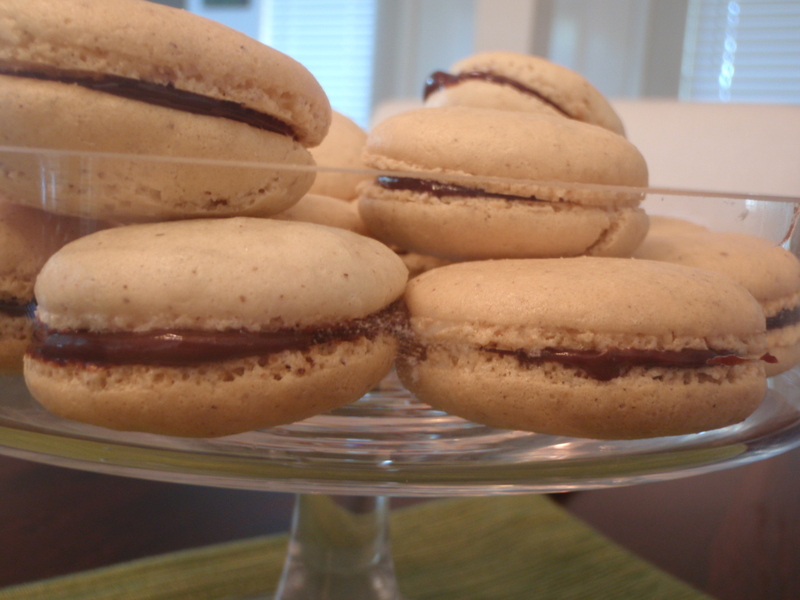 ), we finally made some macarons that were a little more than mediocre and "ok" with Mom's approval. If you don't know what macarons are, they're bascially a French dessert with ganache heaven sandwiched between two light, crispy, but chewy meringue-type cookies. 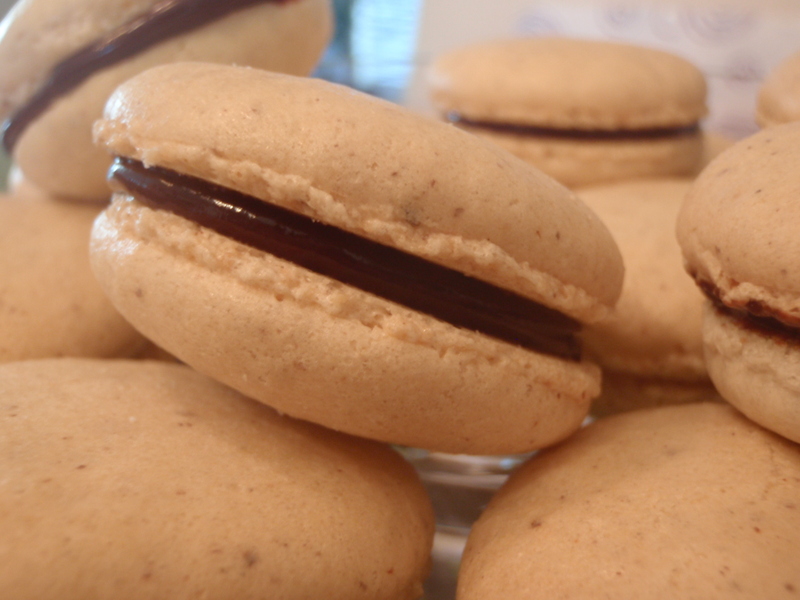 This time hazelnut macarons with chocolate-Bailey's Cream ganache were made. Making these have been frustrating, because macaron feet have been our biggest issue, but these turned out looking decent enough and they tasted pretty good. I will be out of town next week, so I will have all my posts lined up and scheduled.